Imagine reinventing this piece of mining heritage to provide convenient no packaging snacking. The mining heritage is significant in Doncaster and the surrounding areas. We must never forget it. I reckon a great way to keep it on our lips and in our hearts is to promote the Snap Break. Let’s start using a very special Donny Snap Tin. Here’s why. 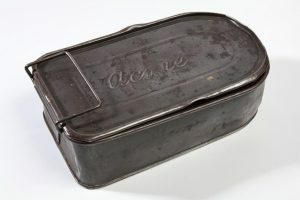 If you don’t know, but I guess you probably do, a Snap Tin’ is slang for a lunch container. Snap is lunch after all. These Snap Tins were brilliant. They were crafted in a very specific shape and were waterproof and dust proof, of course. They would need to have been if they were to protect the food going underground for the miners in the district. In Cornwall, for example the Cornish Pasty almost formed a similar receptacle. The thick crusts around the meat were discarded when they became dirty with the dirt from the job. They were a way to get potatoes, swede and a bit of meat down a hungry tin miner without hassle. Miners weren’t into taking tea breaks at set times. Around twenty minutes were taken when people felt it was appropriate. Imagine what that might have been like. Sitting on the floor having a quick break from the heavy physical work in punishingly high temperatures. Check out this video Snap Tin (the movie) – directed, filmed and edited by film-maker Joel Foote. A jam sandwich was a great staple. There were no mod cons, refrigeration or even running water so a Snap Break was very much a simple affair. But what was missing in food was certainly made up by banter and a great sense of humour. Miles underground, men would swap opinions, thoughts, politics and ideas at these precious times where they could rest. 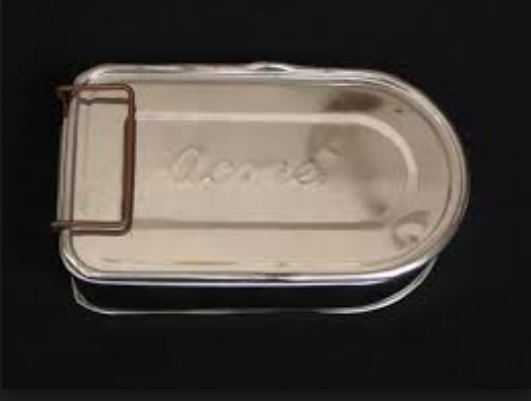 So wouldn’t it be great if Doncaster developed its own Snap Tin? Cafes and pop up stalls in the town could fill them with lunch for a fee. It’s not an original idea but it would give Doncaster something to call its own. Tiffin tins or dabbas, for example, are common in Asia and India, Indonesia, Thailand and Singapore. So why not Doncaster? In Arab countries they are called Safartas and in Hungary you’ll find a Tiffin box called a éthordó or food carrier. In Germany they had something a bit smaller called a Henlemann – but since the 1960s it has fallen out of favour. Tiffin carriers are a well known sight in Mumbai as they carry a two or three tier Tiffin box to offices for workers to enjoy their lunch. So why can’t we resurrect the Donny Snap Tin? Food could be delivered to offices and your Snap Tin could be filled with hot food. You wash it up and use it the following day. It would be brilliant as a way to cut down on food packaging, we could all support local food emporia and have something hot and nourishing for lunch instead of relying on the anti social sandwich we eat at our desk. If all our independent food shops got involved we could create a movement and we could share Snap breaks all over the city. This would help us make use of our green spaces and encourage the council to create more. Not only would be a fun, nourishing and communal way to keep Doncaster’s heritage alive and support the city it would help us support local businesses. Who is going to be the first manufacturer of the Donny Snap Tin? Any suggestions? What do you think? Got a great idea that needs attention? VKN Digital can help!